Location: It is 60 km to the famous Aspendos Theatre. 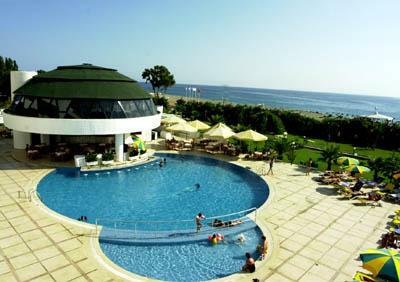 Drita hotel is situated at 140 km to the Antalya Airport and 10 km to the downtown. 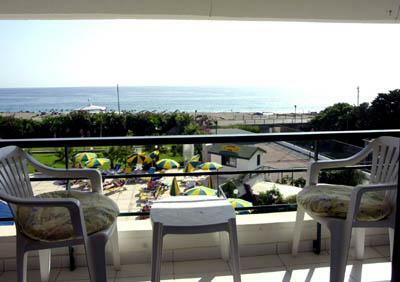 Drita Hotel is established in the town of Kargıcak in Alanya which is one of the most preferred holiday regions in Turkey. Having started to operate in 1997, the basic principle of Drita Hotel is to provide service in the tourism sector in the best manner possible. Therefore, customer satisfaction is the most important focus point of us. Having hosted several Mediterranean civilizations so far, Alanya is a unique place to make a holiday with its historical and natural beauties. 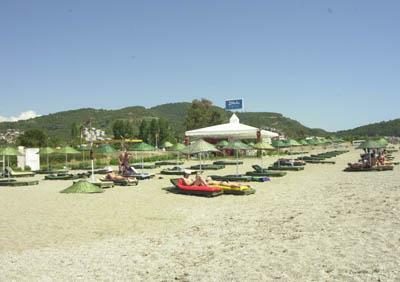 The region has natural and historical places such as Dim Stream, Damlataş Cave, Dim Cave and Citadel of Alanya as well as the picnic and resort areas. 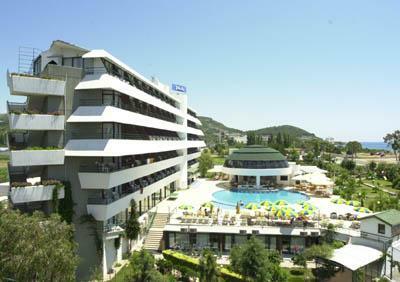 Rooms: 92 standart rooms 25m2, 66 rooms Sea view, 17 rooms Garden view, 5 family rooms and 4 suit rooms. All rooms with TV, WC, Hairdryer, Safe, Telephone, Minibar, Air-conditioning. Full day soft animation, Aerobic, Water Gymnastics, Pleasure Games, Dart, Boccia, Table football, Table Tennis Tournament, Disco for children, Night Shows, Turkish Bath, Sauna, Massage, Volleyball, Basketball, Tennis, Billiard, Water Sports, Disco, Slide, mini club (4-12), and Drita Hotels professional animation team shall provide fun for you. Hotels private Beach, there is a walkway under the road that leads you straight to the beach.Sunbeds and umbrellas available free of charge, mattresses payable locally. Breakfast, late breakfast,lunch and dinner, all meals are buffet style. Snack from 12.30 till 16.00 o'clock, afternoon tea&cake from 16.00 till 18.00 o'clock. Non-alcoholic and alcoholic local drinks from 10.00 till 24.00 o'clock.